Pollinator diversity, especially in urban environments, has rapidly declined in recent years. Pollinators — including bees, wasps, butterflies and ants — are crucial components of functioning ecosystems. They are prime examples of ecosystem service providers, benefiting people by pollinating food crops globally and supporting California’s $21 billion agricultural industry. 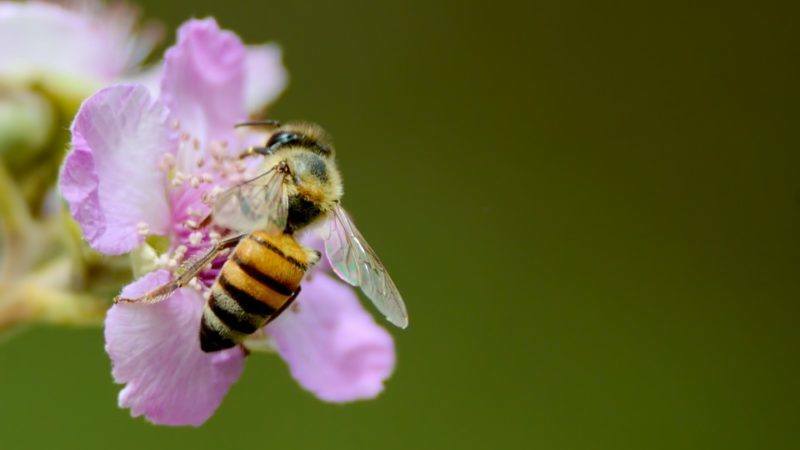 Understanding what variables affect pollinator distribution, abundance and visitation is critical to the health and well-being of everyone on this planet. In collaboration with the Theodore Payne Foundation, our team will assess whether California native plants affect pollinator abundance and diversity. Established in 1960, the nonprofit foundation is dedicated to the understanding, preservation and use of California native flora. It preserves the legacy and carries on the work of Theodore Payne, a pioneering Los Angeles nurseryman, horticulturist and conservationist widely considered to be the father of the native plant movement in California.